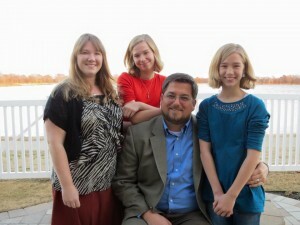 We are excited to have pastor Lee Dodd and his beautiful family here this week at Redeeming Grace Fellowship. Lee Dodd was ordained to the ministry as a young man and has served the Lord in various capacities over the past 14 years. After moving to Denton, Texas in January 2011 he became an active member at Providence Chapel. That same year he also graduated with a Bachelors of Ministry degree from Veritas Theological Seminary. In February 2013, he was officially ordained and installed as a preaching elder with Mack and Philip. Lee has been married to his wife, Amber, for 18 years, and they have two children. Lee also blogs at LeeDodd.com.